The City of Mississauga's Accessibility Advisory Committee (AAC) is hosting an event to recognize National Access Awareness Week at the Living Arts Centre, on June 3, 2009. The AAC's vision is to create a fully accessible community utilizing universal design principles resulting in improved attitudes and full inclusion. National Access Awareness week was established in 1988 to promote better community access for people with disabilities. National Access Awareness week runs May 31-June 6, 2009. This simple video of a day-in-the-life follows Jeff. [Los legisladores de la Ciudad de Buenos Aires en la octava Sesión Ordinaria de la Legislatura porte?a] sancionó otra ley que obliga a los organismos públicos a publicar en la web el estado de los accesos para discapacitados en sus edificios con el objetivo de la construcción de una "ciudad inclusiva". Se establece que los organismos deben tener en cuenta las pautas de dise?o universal que garantizan la inclusión, la igualdad de oportunidades y el respeto a las diferencias. La autora de la iniciativa fue la diputada Marta Varela. El Despacho de la Comisión de Comunicación Social, cuyo texto fue aprobado, dispone que los organismos públicos son responsables del relevamiento y la evaluación constantes de las condiciones de accesibilidad de los edificios en los cuales funcionan, y de enviar esa información a la Secretaria de Comunicación Social del Gobierno de la Ciudad de Buenos Aires, que deberá hacer la publicación en el portal Web de la Ciudad, por primera vez dentro de los ciento ochenta (180) días de la sanción de la ley. New York, NY, May 29, 2009 - Project for Public Spaces congratulates the New Jersey Department of Transportation (NJDOT) on receiving the prestigious Institute of Transportation Engineers' (ITE) Best Project Award for their work on Route 31 in Flemington, New Jersey. The project illustrates the out-of-the-box thinking that every transportation agency needs to engage for reorienting transportation projects to more global outcomes. If we can transform the way the transportation establishment views its mandate, as exemplified in the case of Route 31, we can rapidly and positively affect community building around the country. Local and national leaders are realizing that status quo transportation and land use patterns are undesirable, environmentally damaging and fiscally beyond reach--in short, unsustainable. This awareness has led to calls for a timely and reasonable government repositioning and response. While many other states have given such transformations lip service, NJDOT was one of a handful of state DOTs who took action. The Route 31 study was the catalyst for a organization-wide change that led to the institutionalization of these new concepts in a program called New Jersey FIT: Future in Transportation. NJFIT embraces the idea that the ultimate goal of all planning, development, and community design should be to make places, communities and regions more prosperous, civilized and attractive for all people. The Route 31 Integrated Transportation and Land Use Plan was developed as a replacement for a two-decade study of a freeway bypass around the town of Flemington. NJDOT reacted to mounting evidence that highway capacity solutions to congestion only lead to auto dependent communities, more severe congestion and environmental consequences. The DOT also recognized that the bypass was inconsistent with local communities' vision for maintaining their historical rural character. In a move that is hailed as a 180-degree turn in the typical approach, NJDOT initiated a dialog with the surrounding community to determine how an alternate plan might better serve residents and future development. The result was an integrated transportation and land use plan with mixed use walkable places based on a traditional grid network instead of new freeway capacity. The communities self-directed much of the plan and almost universally rejected the suburban-style auto-oriented subdivisions and strip malls that had been destined for the area. As a bonus to NJ taxpayers and NJDOT, the proper land use and creation of a local street grid network allowed the DOT to right size the new Route 31, thereby saving over $50 million of precious transportation trust funds. The planning process involved open dialog between community members, NJDOT and private developers. "This project is a perfect example of how transportation planning should be approached," said Fred Kent. "A bottom-up process that starts with the community will result in public spaces that provide access to all citizens." PPS' transportation team, led by Gary Toth and Renee Espiau, were both leaders of the NJFIT program. While at NJDOT and now PPS, Toth has been a sought-after resource on integrating transportation and land use, and has assisted DOTs around the country in adopting the concept. Toth and Espiau, along with PPS's Phil Myrick, are instructors for the National Transit Institute's Transportation and Land Use Training Course and continue to work with forward-thinking communities through PPS' Trang web cá cược trực tuyếnBuilding Community through Transportation program. The Route 31 project is featured in Great Corridors, Great Communities: The Quiet Revolution in Transportation Planning, one of three new PPS publications published through a partnership with AARP. The book includes a series of case studies that describes how planning transportation within the context of a larger corridor can benefit both mobility needs and community quality of life.The three-part series is a joint effort of PPS's "Building Community through Transportation" campaign and AARP's "Livable Communities" initiative, and is available through PPS's website. About Project for Public Spaces, Inc. - Project for Public Spaces is a nonprofit organization dedicated to helping people create and sustain public spaces that build stronger communities. Founded in 1975, the PPS approach embraces the insights of William H Whyte, a pioneer in understanding the way people use public spaces. Today PPS has become an internationally recognized center for best-practices, information and resources about Placemaking. Over the past 30+ years, PPS has worked in more than 2,500 communities in 26 countries around the world, helping people turn their public spaces and public markets into vital community places with programs, uses and people friendly settings that build local value and serve community needs. This is Freedom Shores on Isla Aguada Ciudad del Carmen Campeche on the Gulf Coast of the Yucatan Peninsula. I thought that in 30 years I had seene everything Mexico had to offer. I couldn't believe my eyes. On the edge of Laguna de Terminos a vast freshwater lake and the Gulf of Mexico is one of the richest areas of biodiveristy, birds, dolphins, plants, plus little known archeological sites. Bill Busser (see second video) has fully equipped the rooms and there are full time carers available 24/7. Recently I posted on Geotourism and also the Geotourism Challenge where "sustainability" is a key. The practicalities of sustainability continue to gain the attention of researchers in the area of recreation, leisure studies, hospitality, and Inclusive Tourism. The following presentation on design, although it would be strengthened by explicit mention of its dept to Universal Design thinking, provides a helpful introduction to approaches to sustainbility. View more Microsoft Word documents from NathanShedroff. Beginning April 1, 2009 researchers at CATEA (Center for Assistive Technology and Environmental Access), Georgia Tech are contacting people who are 60 or older and use a wheelchair or scooter. We invite you to participate in an on-line survey about barriers in your communities that may hinder you as you go about your daily activities. The survey will take approximately 20 minutes to complete. Results are intended to help both researchers and social policy experts better understand the significance of barriers to community participation for wheeled mobility users. Please do not hesitate to email or call Dr. Yang (hsiang-yu.yang@coa.gatech.edu) at 404-385-8589 if you have any questions. Thank you for your participation. We appreciate your time! Sarah Bourne's piece, Useful Websites for Accessible Travel, can put you on the fast track to your next holiday. Besides being a well-researched article it is worth noting that it is filed in the Ageing Britain series and is sublitled, "Our guide to online resources helping disabled travellers and their companions and carers to plan holidays and trips." Kudos to Sarah and to the Guardian for getting both content and context right! While we focus remorselessly on improving travel opportunities for people with disabilities from the perspective of people with disabilities here at Rolling Rains we did it will full awareness that our commitment to Universal (Inclusive) Design means benefit for companions, carers (attendants, assistants), seniors, and everyone else. ANTALYA - Turkey's first five-star hotel and health center for elderly people, supported by the Ministry of Culture and Tourism to diversify tourism, has opened in the village of Duac?, about two kilometers away from Antalya. The center, named Ayka Vital Park and owned by physical therapy and rehabilitation expert Dr. Kaz?m Do?an and his wife, cardiologist Dr. Aynur Do?an, cost 15 million euros to build and has a 280-bed capacity. It aims to provide five-star service to elderly people and expects to attract mostly northern Europeans. Elderly people can use the center as a rest home or spend their holiday there while receiving medical treatment. All emergency medical equipment has been concealed in the center so as not to disturb people who stay there, said Aynur Do?an, who added that the entire facility was designed with special consideration for the elderly and people with disabilities. "There are nurse call buttons in all rooms and bathrooms," she said. "Plus, our guests will be under 24-hour surveillance for their own safety and their relatives can follow patients staying in our center on the Internet." "We were planning to build a villa for ourselves," Do?an said. "But the increasing demand in the European market and the increasing number of tourists coming to Antalya pushed us to build such a center." The center contains 172 rooms, Kaz?m Do?an added. Disability in Malta is one colossal issue that is estimated at affecting circa 30,000 citizens directly (going with the 5-10% WHO estimate) and at least another 80,000 family members. With such a populous lobby one expects more. With so many dedicated disabled people and their relatives, with so many professional allies, specialists and experts, with so much ground gained in these last 20 years, we can surely get much more out of this struggle. This is a struggle that starts with us all - with our little change of ifs and buts - this starts with the renewal of the disability movement in Malta. The 2009 No Barriers Festival will be held in Miami at the Shake-a-Leg facility from June 4-7. Conference details can be found here. There is a possibility that I will attend this year's No Barriers Festival. If so there will be a report in the Travelogues section of the Rolling Rains Report. There are compelling reasons for those who work in Inclusive Tourism to have entered Ashoka Changemakers' 2009 collaborative competition The Power of Place. Responsible Tourism sets out guidelines for the proper intention toward place. Geotourism sets out guidelines for the proper sustenance and enhancement of place. The Global Sustainability Criteria for Tourism sets out guidelines for the proper development of place. Inclusive Tourism sets out to alert all three that understanding "who" experiences place is essential to creating just and sustainable tourism. It does so by giving voice to the quality of tourist experience from a group who have historically been denied access to tourism - people with disabilities. National Geographic defines geotourism as tourism that sustains or enhances the geographical character of a place -its environment, culture, aesthetics, heritage, and the well-being of its residents. Geotourism incorporates the concept of sustainable tourism -that destinations should remain unspoiled for future generations- while allowing for enhancement that protects the character of the locale. Geotourism also adopts a principle from its cousin, ecotourism -that tourism revenue can promote conservation- and extends that principle beyond nature travel to encompass culture and history as well: all distinctive assets of a place. Scott's project description goes some way to describing what he has dedicated his life to doing, but in no way conveys the absolute enormity of what he has managed to achieve. He has connected thousands of travellers with disabilities from all over the world to each other, to a knowledge base that he has built up himself, and to the tourism industry. His network spans every time zone and his name, among people in the disability community, brings cries of recognition and more often than not personal memories. He does this all at his own expense of time and money, and more often than not at the expense of his health and personal life. He does it not because he is a "do-gooder", but because he is a man driven by a passion for social justice. My own personal memory of Scott is from his whirlwind tour of South Africa in February this year. He galvanised the sluggish authorities into action, advised and encouraged wherever and whenever he could, gave invaluable support and recognition to the few ongoing projects that existed for people with disabilities - and proved an excellent, entertaining travel companion. Among other things, his encouragement and the network of contacts he introduced me to led me to launch the website: www.accessiblecapetown.com. He continues to play a huge role in moving forward the issue of inclusive tourism in South Africa. A unique man, an invaluable resource, an absolutely vital challenge for the global tourism industry. On its "About" page, The Rolling Rains Report (RRR) describes itself as a "service to the travel and hospitality industry." It goes on to say that it "provides resources on Inclusive Tourism - a concept arising from the vigor of a global disability community that both enjoys and asserts the right to full social inclusion." But for me, it is much, much more than this. It is also a beacon to those of us in academia who are working to further local, national, and international well being and sustainability through the development of tourism for people with disabilities (PWDs). The RRR acted as my first guide and source for research into tourism for PWDs, and I still use this and other open-source, collaborative, social networking websites created by Scott on a daily basis to inform my work in Inclusive Tourism. Scott all the time is looking what he can do to help people with disabilities. He′s working to have more accessible destinations. In México, has been very hard change our culture, travel with someone with specials needs, but we are doing and I think we can do more. Everyone can do something, Scott can′t do it along. If each one works with his community, the accessibility will be in all the cities and countries. Scott's vast network and broad vision of accessibility and social justice are truly reflected in the community that he has brought together through the Rolling Rains Report and TourWatch. At the same time that he has stayed focused on developing his own work, his commitment to social justice spans broadly. He has consulted and helped in the efforts to bring together the disability rights community with other communities, including the workers that provide assistance to travelers with disabilities. This has been extremely helpful for these groups that may not have historically worked together, to develop a better understanding of the different facets of struggle for our communities, in order to advance progressive policies that benefit those who often get overlooked in the tourism industry. I'm glad to see Scott's effort to make a more decent world by showing us how important it is to care about ourselves and the environment we live. Rolling Rains Report is so fantastic because it talks about life, about reality, about points of view and not only, it is hard reading it without leading to a deeper reflection of how could we become a better citizen. New Heights Sumitted by Disabled: Reaching the Taj Mahal by Wheelchair! Many people with disabilities who came to see the Taj Mahal could only gaze at it from the entrance. Not any more. The Archaeological Survey of India (ASI), custodian of the 17th-century monument to love, has now built ramps leading into the mausoleum so that the differently able can have a closer view. Nine ramps of different sizes and lengths have been built, the longest being 48 feet. Around 40 wheelchairs have also been made available. According to Javed Pervesh, an ASI official, around 30 physically challenged tourists come to see the Taj on a daily average. "We are planning to advertise the new avatar of the Taj and we are sure that the new Taj Mahal is all the more attractive (for the ramps)," he said. 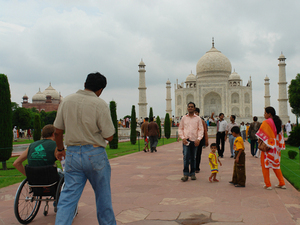 The initiative to make the Taj disabled-friendly started in September last year. Pervesh said foreign tourists with disabilities who come to visit the Taj bring their own motorised wheelchairs and move around freely without assistance. "But that is not the case with most domestic tourists. We have seen many such tourists who feel disappointed at not being able to have a closer look. Some even cry. Seeing all this, we took the decision to make the Taj disabled-friendly." Activists working for the welfare of the physically challenged lauded the ASI's initiative. "It is rarely that we get to see such gestures. We appreciate this," said Javed Abidi, who has headed several campaigns for the disabled and is now spearheading a campaign to make Parliament disabled-friendly. Many heritage monuments and tourist spots across the world -- like the Coliseum (Rome) and Disneyland (California) -- are already disabled-friendly. Everyone Included: Watch This Website! With experience directing British Columbia's 2010 Legacies Now project Mike Prescott has established EveryoneIncluded.com. We expect Mike's workshops, consulting, and web site to raise the bar on the quality of work being done in Inclusive Tourism - and give it all a distinctively Canadian voice. What began as a huge leap of faith gradually evolved into a performance, and a troupe. And a name: "GIMP," Latsky says, "is about shattering perceptions, about provoking people to think, really think, about body image and beauty and disability and dance." But GIMP has become far more. Over the past two years, it has evolved into a movement, a mission almost, a way of getting the world to look at itself a bit differently. A minivan or full-size van with a wheelchair ramp on the side will need the space of at least a one-and-a-half car garage. The interior space of the garage needs to be deep enough to accommodate a large van with rear-door openings. Height clearance must be adequate for the full size wheelchair van with a raised roof. Include proper clearance of the motor housing for the overhead garage door opener. Provide for enough floor clearance to allow a person in a wheelchair to travel around the parked vehicles in the garage. Install an electric overhead garage door opener with a remote control located at an accessible height for a seated person. Include motion sensor lighting with the garage door opener as well as on other lights in the garage. Skylights can provide additional day lighting as a safety factor. Add a long cord to the electric garage door opener emergency release system so that a person seated in a wheelchair has access to pulling the cord. We will want to see the same advice used by timeshare, condo, resort, and vacation home designers. The Marquinez Palace and Inox mulitplex were not accessible to disabled people as mandated under Section 44 of the Persons with Disabilities Act, 1995 and Article 9 of the UN Convention of the Rights of Persons with Disabilities, de Sa said. "The ESG had promised to provide access for disabled persons at the Marquinez Palace and Inox multiplex by March 31. When they did not comply even by April 30, DRAG filed a contempt petition before the disability commissioner and met the chief secretary Hauzel Haukhum on the issue," the DRAG president said. Eleanor Lisney of Connect Culture gives a briefing on her positive experience at the SHINE09 social entrepreneurship conference. Listen for the second half where she tells about her work promoting Inclusive Tourism throughout Europe.
" (Universal Leadership Energy Environment Design): It began with coming home from the hospital and realizing that 80% of the two story home was inaccessible to me. ...We began designing a universal design home - a ranch style without stairs or elevators... accommodating our home offices and lifestyle. ...We started thinking 'why don't we share what we've learned with other people with disabilities? '. ...The breakthrough was through a Master Mind group - it was at that moment that they told us 'Why don't you build a national demonstration home and get corporate sponsors? ' ...Universal design needs to be addressed, so that the home is usable by all people, without the need for adaptation or any special design. So think of a house for people of all abilities no matter what their physical limitation - they can get into the house without steps, the hallway and doors are wide enough... the kitchen is set up with various heights of countertops and space for someone seated to move around. ...I'm four foot two in a seated position, but my husband is six foot four. So a universal design will be set up so that everyone is comfortable. ...The intent is to save money from health care systems, and from insurance programs and private investments... if you need assistance you can stay at home and hire that. ...It is much cheaper to stay in your own home verses going to a care facility "
This quote was chosen today from a Conscious Discussions talk radio show with Rosemarie Rossetti - during this interview we discussed how anyone of us can Take Back Your Life. 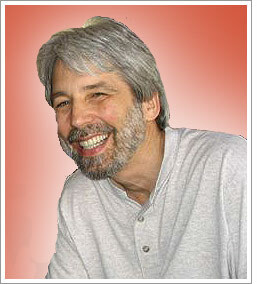 Simply click on the hyper-links here or look to the right to find the link for the Conscious Discussions talk radio show. On behalf of the Government of Lao PDR, the Lao National Tourism Administration (LNTA) is pleased to invite you and your colleagues to the World Ecotourism Conference & Green Tourism Exhibition to be held in charming Vientiane Capital, Lao PDR from 15 - 16 July, 2009. With the support of United Nations World Tourism Organisation (UNWTO), Pacific Asia Tourism Association (PATA), The International Ecotourism Society (TIES), regional ecotourism organisations, Governments and distinguished academia, this important conference aims to present innovative approaches to sustainable tourism development and management at ecotourism sites, exchange lessons-learned regarding global best-practice in the ecotourism and community-based tourism sectors and seek solutions to mitigate and reverse negative impacts of tourism such as climate change and environmental degradation. TOURISM is missing out on millions or euros annually, because of its failure to cater for the needs of the disabled according to a survey carried out by the University of Ulster, 'School of Built Environment'. The survey found that while staff, at tourist offices was helpful, less than half could offer useful advice. Disabled visitors are left to hope for the best, the survey warned and it added that not only is it bad for the tourism, it is bad for business. Many critics in Westport, including myself, have called on the tourist trade here to wake up to the fact that disabled tourists are lucrative customers. Research indicates that there are over 55 million people with disability resident in the European Union alone. Map Social, Celebrate Local! Open Green Map's Global Launch is June 5th! Join us in New York on Friday, June 5 from 6-8:30PM at NYU's King Juan Carlos I of Spain Center, 53 Washington Square South. There are events on 5 continents you can take part in! We are very pleased to invite you, your friends and family to the launch celebration for the Open Green Map! An innovation for sustainable communities, this interactive online mapping tool helps you explore and exchange viewpoints on green living sites, natural, social and cultural resources. Transforming local information into global interaction, this new social mapping platform spurs widespread participation as it shares diverse public viewpoints. Featuring our globally recognized icons, Open Green Maps are always available, easily updated, expanded and explored. We're so pleased that local Green Map projects in Cape Town, Geneva, Jakarta, Stockholm, Baltimore, Pereira and other places are taking part by hosting public events on this World Environment Day. As Green Map System's inception was inspired by the UN's Earth Summit back in the early Nineties, we think it's a most fitting day to commemorate this ground-breaking new way to visualize our progress toward sustainability. Find details for each event and virtual participation via Twitter at GreenMap.org/ogm-launch. In New York City, join the global staff and board on Friday evening, June 5 at the King Juan Carlos I of Spain Center at NYU, 53 Washington Square South in Manhattan. From 6 to 8:30PM, we'll be showcasing the first 50 Open Green Maps and over 4,000 sites, sharing news on what this social innovation has already leveraged in diverse communities. NYU's Sustainability Task Force, Bobst Library and Environmental Studies Program are providing the venue and will show the Open Green Map they have created. You'll also hear from others using it in the community. Everyone is invited to bring a green site, comment or image to add to the platform. There's no need to RSVP, feel free to spread the word and forward this message. Open Green Map is a Finalist in the prestigious Index Awards! Our social innovation will be part of Index's traveling exhibit starting in Copenhagen in August, when the winner is announced. We have a great chance to win 100,000 euros! Open Green Map is part of much more too - please come to a launch event near you and get involved in celebrating and supporting sustainability, locally and globally! View more presentations from eilily. (CNNI) and the Department for Transport (DfT). appropriate, as to how such problems should be addressed. Commission has overall legislative responsibility for the Regulation. in your response with evidence. July to explore issues raised in your response. further discussion with the author, will not be published. forward to hearing from you in due course. Panama's Tourist Assistants: Include Inclusion and Replicate? To reach the United Nation's Millennium Development Goals for the reduction of poverty many innovative programs are called for. One model with potential is the Tourist Assistants program in Panama. Can it be adapted so that there is a special emphasis on hiring people with disabilities and training all Tourist Assistants in working with travelers who experience disabilities? The program called "Tourist Assistants", is an idea the Minister of Tourism of Panama, Rubén Blades had at the end of the year 2004. He met with a group of youngsters, all of them former gang members from popular areas of Panamá in the Washington Hotel in Colon City. In this meeting he explained his desire to implement a program where they could become tourist assistants after receiving full and complete training. Once the program was accomplished with the former gang members from the San Felipe area who had been trained in tourism and the history of Panama, good manners, safety rules and basic English during a 6 month period, during which they received a monthly basic payment with the purpose of helping them leave their old habits and start a new and better life. The Ashoka Changemaker Geotourism Challenge 2009: "The Power of Place"
Scott's project description goes some way to describing what he has dedicated his life to doing, but in no way conveys the absolute enormity of what he has managed to achieve. He has connected thousands of travellers with disabilities from all over the world to each other, to a knowledge base that he has built up himself, and to the tourism industry. 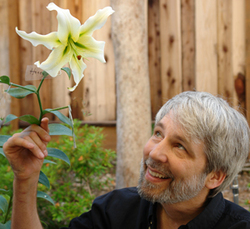 His network spans every time zone and his name, among people in the disability community, brings cries of recognition and more often than not personal memories. He does this all at his own expense of time and money, and more often than not at the expense of his health and personal life. He does it not because he is a "do-gooder", but because he is a man driven by a passion for social justice. My own personal memory of Scott is from his whirlwind tour of South Africa in February this year. He galvanised the sluggish authorities into action, advised and encouraged wherever and whenever he could, gave invaluable support and recognition to the few ongoing projects that existed for people with disabilities - and proved an excellent, entertaining travel companion. Among other things, his encouragement and the network of contacts he introduced me to led me to launch the website: www.accessiblecapetown.com. He continues to play a huge role in moving forward the issue of inclusive tourism in South Africa. Who travels is as important as where. Human experience of the "power" of place depends on the quality of attention and the character of interaction (both physical and social.) Responsible Tourism sets out guidelines for the proper intention toward place. Geotourism sets out guidelines for the proper sustenance and enhancement of place. The Global Sustainability Criteria for Tourism sets out guidelines for the proper development of place. Inclusive Tourism sets out to alert all three that understanding "who" experiences place is essential to creating just and sustainable tourism. It does so by giving voice to the quality of tourist experience from a group who have historically been denied access to tourism - people with disabilities. The Rolling Rains Report uses best practices from Universal Design to improve the quality of tourism management (Inclusive Tourism) and its impact on the destination (Inclusive Destination Development). We believe that Green Design embodies environmental sustainability ; Universal Design closes the circle by providing the social sustainability of inclusion. This project is a product of disability culture - a culture shaped by "ways of being in a body," and thus ways of being in and experiencing a place. Culminó exitosamente el Taller de Turismo accesible, organizado por el Centro de Estudios Superiores Padre Daniel De Agostini con la colaboración del Hotel Los álamos y la Fundación AVINA Argentina. Durante cuatro días Alejandro Rojo Vivot expuso sobre los prejuicios hacia las personas con discapacidad y otros grupos humanos con requerimientos específicos, las barreras arquitectónicas y urbanísticas y la importancia readecuar los servicios turísticos a la demanda creciente en tal sentido. Más de 130 personas directamente relacionadas con el turismo de El Calafate participaron activamente del Taller que, desde un primer momento generó gran expectativa. El acto de Apertura lo inició la Licenciada María José Caldiero, Rectora del CES De Agostini, se?alando la importancia de la constante capacitación como la intensa labor que realiza la institución para acrecentar las opciones de formación de la comunidad de El Calafate. También se presentó el libro de Alejandro Rojo Vivot, "Turismo para todos", de reciente publicación del CES y la Fundación AVINA Argentina. A continuación, Mario Piero Guatti, socio gerente del Hotel Los álamos, lo presentó a Alejandro Rojo Vivot destacando su amplia experiencia en el tema y cómo su empresa hace a?os que incorporó como valor la habitabilidad en la diversidad y la capacitación de todo su personal. Como parte culminante del Taller los participantes identificaron algunos de los problemas que todavía existen en El Calafate con respecto a las personas con discapacidad, y de aquellos que necesitan satisfacer algunos requerimientos específicos, y cuáles pueden ser las soluciones a corto y a mediano plazo. Con la realización de este Taller y la amplia convocatoria del mismo quedó en evidencia, una vez más, que en El Calafate se puede cuando los esfuerzos se mancomunan y las metas son claras. Como se?aló Rojo Vivot: "es a partir de una comunidad que respeta la condición humana y la diversidad intrínseca de la misma, como se construyen ciudades inclusivas que así pueden generar, también, las condiciones para un turismo para todos". Delicious, Facebook, Flickr, Twitter and YouTube. Conference in Belize later this year. become acquainted with Delicious, Facebook, Flickr, Twitter and YouTube. Finance - What is Responsible Travel Philanthropy? Hospitality - - What constitutes Responsible Hospitality Management? Aviation - How it it possible to Fly Responsibly? Climate Change - More broadly what is required to be Carbon Responsible? Place - What makes a Destination Responsible? It was 2001 when Katrina hit. That was after the tsunami damage in Asia caused Universal Design specialists around the world to raise the concern that disaster relief services, products, and construction disproportionately harmed people with disabilities. If FEMA were one of my students and they had a final exam tomorrow I'd counsel them to call in sick - or maybe just get a doctor to issue a certificate of brain death. The Associated Press reports that, "By FEMA's count, 2,570 trailers and mobile homes are still being used in Louisiana and 1,500 in Mississippi to house victims of hurricanes Katrina and Rita." ... six newly designed mobile homes were rolled out Thursday by federal officials to replace the much-criticized travel trailers used in the wake of Hurricane Katrina in 2005. Many people said living in the earlier models made them sick. The travel trailer prototype -- made by Texas-based Frontier RV -- is the first to have a device that circulates fresh outside air into the trailer, said Ryan Buras, a housing program specialist at FEMA. This one-bedroom trailer is also handicap-accessible (sic) with a bathroom three times larger than the typical travel trailer bathroom. With little detail to go on it would appear that FEMA has spent five times the effort to make non-Visitable, inaccessible mobile homes than universally usable models and adopted the "Let Mikey try it" approach to retain the disdained travel trailer design "Let disabled people live in them!" The math doesn't work. They come eight years too late for a community that reported one quarter of its population (24%) as having disabilities before Katrina yet four fifths of the emergency housing models in FEMA's arsenal are duds. Politicians and patriots alike would be up in arms if Obama went to war with such poor planning. Yet we know there will be more hurricanes, floods, fires, earthquakes and other disasters that will spread across our headlines once more that survivors of disasters who have disabilities suffer disproportionately inadequate service. A community consisting of such segregated housing is hardly worthy of the name "community." It creates, by design, an artificial scarcity of accessible (and Visitable) housing stock. It isolates people with disabilities from the community. It even has the effect of breaking up families if that family has a member with a disability and needs more than one bedroom. Was there a Livable Communities criteria in FEMA's mandate? If so, they failed to meet it. Victoria, author of this VLOG, writes, "...my summer job [was] as a tour guide with Parks Canada. I go on to encourage other Deaf Canadian youth to try and apply for jobs with Parks Canada (Young Canada Works)." There is a blogosphere dialogue underway around the politics of language and disability. Rather than attempt to move it forward with a personal contribution I encourage Rolling Rains readers to jump in, absorb it, and add your own insights. and be sure to follow the links. GAATES is the leading international not-for-profit organization that brings together individuals and organizations dedicated to promoting accessibility of electronic and communication technologies and accessibility of the built environment. Betty Dion, President, GAATES presented on the UN Convention on the Rights of Persons with Disabilities and its impact on technologies and accessibility. She also presented on Research and surveys, applied research in the field of the development of assistive technologies and the importance of the involvement of people with disabilities. Mukhtar AlShibani, Vice President, GAATES presented on the universal accessibility criteria that help persons with disabilities in their daily life activities and their role in work environments. Chuck Letourneau, a GAATES director from Canada, told the audience about his experiences in developing a highly trained cadre of technical support staff, job-assessors, documentation writers and job-skill trainers to support employees with disabilities. Dr. Harold W. Snider, a GAATES Director from US, Presented on Assistive Technology and the Development of Networking Skills and Legal, Psychological and social effects that may accompany the use of assistive technology for people with disabilities. Aqeel Qureshi, a Gaates member, presented on Assistive Technology to support e-education for people with disabilities and how people with disabilities access hardware and software. He told the audience about Assistive Technology enables people with disabilities to access computer systems that would increases independence for persons with disabilities to participate in the society and enter the information age. I experience "wrap rage" more frequently than I write about it here at Rolling Rains - and, as a quadriplegic, I experience that frustration at being unable to open bottles and packages more than most. 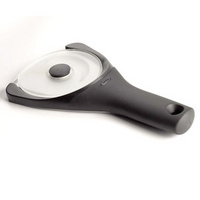 That is why I always make sure to carry my OXO jar opener with me when I travel. In fact, I am so diligent about this essential bit of travel gear that I actually ended up bringing two with me on my recent trip to Italy. But even with all my compulsive preparations I experienced an insurmountable obstacle in Italy when I found myself needing two injections per day for two weeks to treat a stubborn infection. In a long-term partnership agreement, UCB, a global biopharmaceutical leader, has teamed up with OXO, a celebrated consumer products company, to offer patients a syringe and packaging components that take into account some of the challenges many rheumatoid arthritis (RA) patients face when self-administrating their medicine. UCB's Cimzia (certolizumab pegol) was approved this week by the US Food and Drug Administration (FDA) and offers a treatment option for adults with moderately to severely active rheumatoid arthritis. Cimzia is also approved for reducing signs and symptoms of Crohn's disease and maintaining clinical response in adult patients with moderate to severely active disease who have had an inadequate response to conventional therapy. The new prefilled syringe is now also available to US Crohn's patients taking Cimzia for subcutaneous self-administration. The new syringe carries the Arthritis Foundation's Ease-of-Use Commendation, signifying a positive review of the syringe design by the Arthritis Foundation's independent research laboratory. The companies recognized the importance of designing a syringe and packaging components that take into account many of the dexterity challenges RA patients may face. The prefilled syringe resulting from the partnership with OXO was designed for use by patients with different grip styles and strengths. "This syringe, a result of our partnership with OXO, demonstrates UCB's commitment to patients with severe diseases. I am proud of the fact that people living with rheumatoid arthritis worked directly with the design and engineering teams to development this syringe. We have designed a syringe that takes into account some of the challenges that come with self-injection. UCB has gone beyond providing a new effective treatment option. Our long-term partnership with OXO will allow us to help make everyday living easier for rheumatoid arthritis patients." said Roch Doliveux, Chief Executive Officer of UCB. "In addition, we are pleased to offer people with Crohn's disease in the US the option of self-administering Cimzia using this newly designed syringe. Cimzia patients will now have the convenience of at-home self-injections," said Doliveux. "OXO? was built on the foundation of Universal Design, which focuses on creating easy and comfortable-to-use products for the widest spectrum of users possible," said Alex Lee, President of OXO. "In partnering with UCB, we were able to apply our design principles in a new setting. The result is a prefilled syringe that helps provide comfort and control for a wide variety of patient self-administration abilities and user styles." Universal Design began among people with disabilities but, particularly through the work of AARP in the US and the government in Japan, UD has gained a loyal following among seniors, gerontologists, and gerontechnologists. If that last word is unfamiliar it just means people who pay special attention to making technology accessible to older adults. So it is with a sense of satisfaction that I have been welcomed by the young-at-heart gerontechnologists at Computer Savvy Seniors! On occasion I will contribute to the Travel Department of their Computer School for Seniors. Travel for the elderly and people with disabilities can be very challenging. Dr. Rains looks for solutions to those challenges. In particular he searches for examples of how Universal Design creates new travel opportunities and products that are, to quote the definition of Universal Design, usable by the widest range of people operating in the widest range of situations. Have a loser look at their site. always sponsored and hosted by CCBB (Bank of Brazil′s Cultural Center). Several years ago, Walgreen's set out to employ more people with disabilities, driven by a company executive whose son had autism. The new distribution center had a goal: people with physical or cognitive disabilities would form 30 percent of its work force. One surprise was that ratio. The South Carolina site now has 42 percent of its workers with disabilities. And the second surprise? That warehouse is 20 percent more productive than its peers. And now that these productive members of society have regular incomes and solid stable employment will they choose your airline, hotel, resort, or cruise line when it is time for vacation -- or is your business strategy to leave their vacation money on the table for a competitor to pick up? Case in point: When the pent-up demand for travel to Mexico hears the "all clear" signal after the current flu scare which part o the country will be there with a convincing Turismo para Todos message of "Bienvenidos!" Un total de 38 asociaciones y entidades sociales participarán desde el viernes y hasta el domingo en el Paseo del Parque de Málaga en la Muestra de Iniciativas y Productos Elaborados por Personas con Discapacidad, Expoval 2009. La muestra, cuyo contenido y programación fueron presentados hoy por el concejal de Accesibilidad Universal, Raúl López, y que este a?o llega ya a su duodécima edición, es una apuesta por el desarrollo de productos y entornos de fácil acceso para el mayor número de personas posible, sin la necesidad de adaptarlos o redise?arlos de una forma especial. El concepto de dise?o universal tiene en cuenta la manera en que se vende el producto y la imagen del mismo, para que éstos, además de ser accesibles, puedan captar a todo el rango de consumidores. 03.30.2009 - The U.S. Access Board, an independent federal agency that oversees compliance with federal accessibility regulation, has provided policy guidance regarding the mandated accessibility of projects funded by the "American Recovery and Reinvestment Act" [Public Law No. 111-5], alternately known as the "stimulus package." The Access Board notes that projects funded from the $787 billion measure must comply with federal accessibility laws, including the Americans with Disabilities Act (ADA), Architectural Barriers Act (ABA), and Rehabilitation Act, as well as the various standards that have been issued under these acts, including ADA standards for facilities and transportation vehicles, ABA standards for federally funded facilities, and standards for electronic and information technology issued under Section 508 of the Rehabilitation Act. The Access Board offers more specific guidance on a variety of projects that may be funded by the Recovery Act, including facility construction and renovation, transportation systems, housing, streets and sidewalks, and outdoor environments and recreation facilities, and information technology. Regarding the issue of information technology, the Access Board has observed that it is likely that Recovery Act money will be used to acquire or upgrade IT systems and infrastructure. Electronic and information technologies procured by federal agencies must be accessible under the Rehabilitation Act (Section 508) and meet the Board's Section 508 standards. These standards cover computer hardware and software, websites, phone systems, videos, copiers, and similar technologies. Non-federal entities are strongly encouraged to follow these standards voluntarily to make sure acquired technology is accessible. For more information on Section 508, the Access Board has a website at http://www.section508.gov. 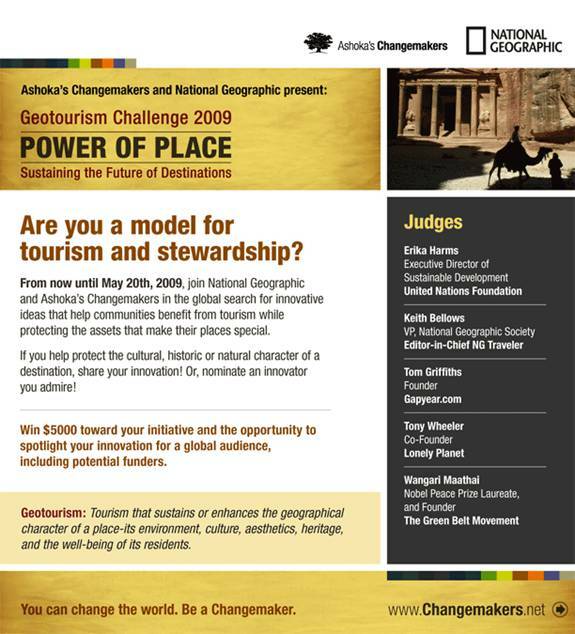 To date I have held off applying to this year's Geotourism Challenge because the sponsors (Ashoka Foundation and National Geographic) have asked me to serve as a Featured Commentator. An estimated 10% of those traveling at any point in time have a disability. Many more of those disabilities affect sight and hearing than is apparent with the easily identified wheelchair or cane user. Many disabilities are virtually invisible to the observer - yet they profoundly impact the travel behavior of those who experience them. To be considered ecologically sustainable a project must be socially sustainable. That is, it must be realistic in accounting for the human needs and cultural variation among those it impacts. The following questions are meant to stimulate your thinking about how successful you have been in accommodating the diversity of capacities of travelers to make an earth-sensitive project open to all.
? Do you provide information in various formats so that it can be independently accessed by users who may or may not be sighted, hearing, English-speaking, literate?
? Do you follow best online practices in Universal Design such as W3C WAI or Section 508 (a US web accessibility law) standards?
? Does the information you provide include the sort of information that is essential for someone who, for example, uses a wheelchair, travels with a companion animal, or is short of stature? If not, has that information been collected and made readily accessible for when a traveler requests it from you?
? Have you made an attempt to employ persons with disabilities? To seek them out as consultants in product development, marketing, and evaluation? Employ them on an ongoing basis?
? If you provide a service to someone without a disability have you designed that service so that it is accessible to all or created an alternate system to accomplish an equivalent result? Have you implemented the insight, adopted in the LEED (green building) Certification specifications, that building accessibility is a necessity and is an environmentally practice because it extends the functionality of a building for its occupants (i.e. aging-in-place, visitability, lifespan design)? Retrofitting to correct a space that excludes uses more resources and produces waste material.
? Are you aware that the Responsible Tourism Movement specifies accessibility for all as central to its definition of responsible tourism?
? Did you know that participation in sports, leisure activities, and tourism is a right guaranteed in the UN Convention on the Rights of persons with disabilities (CRPD; see Article 30)? Do you know if the country or countries you operate in are signatories of the CRPD or have similar national legislation and what your legal obligations are under each?
? If your project involves access to the water have you familiarized yourself with the Waypoint/Backstrom Principles on accessibility of maritime environments?
? Have you reviewed your program using the seven principles of Universal Design? The Global Sustainable Tourism Criteria are part of the response of the tourism community to the global challenges of the United Nations' Millennium Development Goals. Interest in poverty alleviation and environmental sustainability are highlighted in the criteria. How might your work be enhanced by applying the criteria to travelers, employees, and destination residents with disabilities? The conference "Disability and Economy: Creating a Society for All" in Manchester, England. Our theme, one of the three themes of the Todai Forum 2009 (Former name: UT Forum 2009), is "Economy and Disability: Creating a Society for all". Until recently, the problems of disability such as disability-based-discrimination, social inequality and human rights abuse were trivial in mainstream society around the world. Now we are recognizing that impairment "is a natural part of the human experience" (U.S. Rehabilitation Act of 1973, 29 U.S.C. § 701(a)), and that "disability results from the interaction between persons with impairments and attitudinal and environmental barriers that hinders their full and effective participation in society on an equal basis with others" (U.N. Convention on the Rights of Persons with Disabilities of 2006, Preamble (e)). In this sense, it is necessary to tackle the disability issues as the important social, economical and political agenda in order to create a more comfortable society for all of us to live in. Disability problems are without doubt a primary topic for human existence and all mankind. Traditionally social science researches in disability field have been limited to social welfare or criminal law. It is the emergence of the disability studies in the United Kingdom that was the turning point which changed the approach of the traditional social science researches. Disability studies, to which political science and sociology etc. have contributed is a new area of multidisciplinary and interdisciplinary academic study. According to "the social model of disability" in the British disability studies which emerged in 1970s, the difference between impairment which is an attribute of individuals (intrinsic biological characteristics) and "disability" which is a socially created and constructed problem is significant. Persons with actual or perceived impairments become "disabled persons" by society's failure to accommodate their needs. Disability studies have had a great impact around the world including Japan. Recognizing, emphasizing and reaffirming the huge contribution by disability studies, we should further explore and develop new approaches, on the basis of the studies, to measuring how our society interacts with "disable persons" in order to elucidate the very complex problems of disability caused by various barriers. One of such approaches is the "Disability and Economics". Economics has developed tools to study customs and institutions as endogenous outcomes of economies. Economists investigate human behavior, shedding light on incentives and their interdependence. In particular, game theory is useful for this purpose. With these theoretical methods we can examine and analyze the issues relating to disability as endogenous institutions. Furthermore, by solving incentives of individuals, we investigate effective policies for "disabled persons". As an analytical tool the economic viewpoint is indispensable and essential for assessing and analyzing disabling factors and providing a new perspective to create a more inclusive and decent society for all . In disability studies, economic perspective is being ignored even at today. Now, it is the time for disability studies to utilize the framework and knowledge of modern economics, especially in the fields such as income security, anti- discrimination and disability employment policies. Our theme of the Todai Forum 2009 focuses on the results of research, conducted in the READ Project ("A study on disability in a socio-economic context: toward a unified social science") of the Graduate School of Economics at the University of Tokyo (http://www.read-tu.jp/english/). The Project is to develop a new field of social science focusing on various barriers in socio-economic contexts by introducing economics into disability studies. El recién inaugurado Wine Oil Spa Villa de Laguardia acaba de recibir el Título de Accesibilidad y Adaptabilidad en la categoría de Accesible. Actualmente es el único Spa en Espa?a que ostenta esta distinción con la que se garantiza la practicidad de sus instalaciones a personas con problemas de movilidad reducida. Ubicado en Laguardia, zona privilegiada de Rioja Alavesa, Wine Oil Spa ha seguido desde el inicio de sus obras un Plan de Accesibilidad atendiendo todos los aspectos para conseguir unas instalaciones polivalentes dirigidas a todo tipo de clientes bajo el concepto de turismo para todos. Wine Oil Spa dispone de un circuito spa dotado de sauna, ba?o turco, ducha jet, camas de agua, cascadas de tratamiento, etc. Las instalaciones cuentan también con diversas salas de tratamiento con ba?eras de hidromasaje, flotarium, duchas vichy o cabinas especiales para la realización de envolturas en esencias. Los tratamientos se realizan con productos elaborados a partir del aceite de oliva y vino que aportan todos sus beneficios. Todas las instalaciones son completamente accesibles, pudiendo realizarse todo el recorrido en una silla de ruedas especial para zonas húmedas disponible para los usuarios que así lo precisen. Tanto las cabinas como las diversas duchas de tratamiento o saunas y ba?os turcos cuentan con puertas de 80 cm y zonas con radio de giro de 150 cm para facilitar la movilidad. Todos los aseos del recinto están adaptados y existe también un vestuario específico para usuarios de silla de ruedas o personas que precisen acompa?ante dotado de ducha a cota cero con asiento abatible, barras de apoyo y camilla. La excelencia en materia de accesibilidad de sus instalaciones lo convierten en un referente en el turismo de salud y estética para el colectivo de discapacitados físicos y viene así a aumentar la oferta turística accesible de calidad en la comarca de Rioja Alavesa. 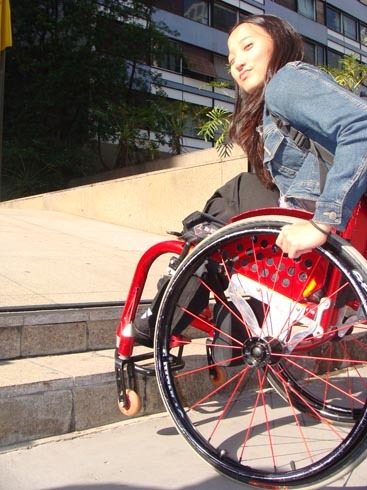 El Título de Accesibilidad y Adaptabilidad ha sido otorgado por Equalitas Vitae, consultora especializada en eliminación de barreras arquitectónicas y turismo accesible para personas con problemas de movilidad reducida en Espa?a. La consultora especialista en Turismo accesible Equalitas Vitae ha otorgado al recién inaugurado Hotel Wine Oil Spa Villa este certificado con el que el establecimiento alavés se convierte en el único spa de Espa?a que cuenta con esta distinción, con la que se garantiza la practicidad de sus instalaciones a personas con problemas de movilidad reducida. Equalitas Vitae ha explicado que, desde que comenzaron las obras, el hotel ha seguido un plan de accesibilidad en el que atendía a "todos los aspectos" para conseguir unas instalaciones polivalentes dirigidas a "todo tipo de cliente" bajo el concepto de Turismo para todos. The New York Times reports that Mexico is poised to lunch a major publicity campaign. Will Mexico use this opportunity to attract travelers with disabilities? Mexico prepares to launch a multi-million dollar bid to regain tourists who have decided to go elsewhere and avoid the risk of flu. Why not introduce something never attempted before? Why not market directly to one segment of the traveling public that reports that it would double its travel spending if only it could find appropriate places to travel to (Open Doors Organization 2002 and 2005). Not only that but this market rates Mexico as one of its top destinations. The 46 million Americans who spent $46 billion US on travel in 2002. "In a couple of weeks people are going to want to go back to Mexico," said Mike Trujillo, a travel agent in Santa Rosa, Calif. "There were some great deals before this and there will be better deals now." Oscar Fitch, the executive director of the Mexico Tourism Board, said that once the United States and other countries lift travel advisories to Mexico, Mexico will start a broad campaign to bring visitors back. horas, em Olh?o, o primeiro passeio turístico pedonal para cegos. a Associa? ?o dos Cegos e Amblíopes de Portugal (ACAPO). meia num percurso de um quilómetro. sensibilizar as maiorias para as dificuldades e os direitos das minorias. La Confederación Nacional de Organizaciones Populares que encabeza Irma González Pedraza, llevará a cabo el martes 9 de junio el "Primer Foro de Accesibilidad y Dise?o Universal", que se efectuará en una jornada de diez de la ma?ana a las dos de la tarde, teniendo como sede el auditorio del Colegio de Médicos del Estado de Colima, ubicado en la calle del Trabajo esquina con Aldama, de esta ciudad. La dirigente estatal del Sector Popular, Irma González Pedraza, acompa?ada del coordinador estatal del Movimiento Asociativo de Personas con Discapacidad, Eduardo Javier López Hernández, así como de Jorge Terríquez Mayoral y Enrique Rojas Orozco, líderes municipales de la CNOP en Colima y Villa de álvarez, entre otros directivos, dieron a conocer los pormenores de la convocatoria para este interesante foro, que tiene por objetivo facilitar el acceso de discapacitados no sólo a los espacios públicos, sino insertarlos de una manera más activa en todos los ámbitos de la sociedad. El coordinador estatal del Movimiento de Vinculación Ciudadana, Roberto Jacobo Castillo, dio lectura a la convocatoria, que está abierta a todas las organizaciones civiles, instituciones académicas, dependencias públicas de los tres niveles de gobierno, empresas y ciudadanía en general, con el propósito de elaborar un proyecto general de accesibilidad y dise?o universal, que será entregado, para su análisis y aprobación, a la Legislatura local, al Gobierno del Estado y a los diez Cabildos de la entidad. Políticas públicas para la eliminación de todo tipo de barreras arquitectónicas y de comunicación en la infraestructura pública estatal y municipal, al igual que en la infraestructura particular de acceso público. La recepción de las propuestas queda abierta desde hoy y hasta el 29 de mayo y se recibirán tanto de ciudadanos como de instituciones interesadas, las cuales serán revisadas e integradas por un grupo de especialistas invitados por el Comité Organizador. La recepción de propuestas se hará en los correos electrónicos cdecnopcolima@hotmail.com y cnopcolima@prodigy.net.mx ó directamente a las oficinas estatales de la CNOP, en Calzada Galván Sur 227 de Colima. La lideresa estatal de la CNOP, Irma González Pedraza, agradeció a los medios de comunicación de la entidad, la solidaridad para apoyar esta iniciativa, que tiene como fin que la propuesta final sea analizada y de ser posible aprobada en el Congreso del Estado, para el beneficio de las personas con problema de movilidad reducida, especialmente de quienes padecen algún tipo de discapacidad, derrumbando las barreras arquitectónicas, de comunicación y transporte, para que puedan incorporarse plenamente a la vida laboral, educativa y de recreación a que también tienen derecho. Is There a Spanish Edition of Darcy's "Benchmark Games?" Here at the Rolling Rains Report the drumbeat is continuous for the application of Universal Design in tourism (Inclusive Tourism and Inclusive Destination Development.) The Spanish Paralympic Committee is promising extraordinary levels of design integration -- a "best practices" village for all the world to see and emulate. But we know from experience around the world - as well as documentation in Simon Darcy's groundbreaking work in Benchmark Games - that careful monitoring at every stage is essential. Even under a theoretical ideal situation such as Spain oversight is key. If these are to be the "game changer" Paralympics that will set the benchmark for inclusion then why not make its legacy be training of a new generation? Could the Spanish 2016 Paralympics successfully include a cadre of students, professionals, and stakeholders who intimately observe (and critique) every step of the process? Understudies? Apprentices? Service Learning? Let's begin recruiting stakeholders from the disability community who have distinguished themselves through work on the Beijing Games, Vancouver & London, South Africa and Brazil's FIFA games, India's Commonealth Games. Let's see to it that Spain's quest to raise the bar allocates the financial resources to document, from today going forward, what it takes to make real the vision. I for one would not mind showing off their success on my coffee table with a celebratory "Benchmark Games II." In the meantime, sign me up to lead the Game's Service Learning Corps! Miguel Carballeda, President of the Spanish Paralympic Committee (CPE), told the International Olympic Committee's (IOC) Evaluation Commission that with Madrid hosting the 2016 Games "we would be able to celebrate the greatest Paralympic Games ever". He also outlined how Madrid was projecting the Olympic and Paralympic Games as a unique 60-day event, beginning with the day the Olympic Village opens and ending the day it closes. According to the presentation, the Paralympic Games project would use a transversal concept in design and build. The installations, accommodation and transport have been designed for mass use and enjoyment - including spectators and athletes, those with and without disabilities alike - to bring life to the slogan "the Games with the Human Touch". The "design for all" concept has been worked up by the CPE in association with Madrid 2016 to ensure complete integration into the whole bid and alongside the Madrid 2016 Foundation. The US Airways Education Foundation is seeking grant applicants for its 2009 Community Education Grant Program. The foundation will award grants of $4,000 each to nonprofit organizations located in the airline's hub and focus cities of Boston, Charlotte, Las Vegas, New York, Philadelphia, Phoenix, Pittsburgh, and Washington, D.C. Eligible programs include educational programs that respond to the needs of disadvantaged or disabled children, teach or enhance social responsibility, and/or enhance academic achievement for children age 18 or younger. Interested nonprofit organizations should visit the US Airways Education Foundation Web site for grant guidelines and an online application form. In one of the few published reports to result from ICAT 2009 recently held in Singapore author Siew Hoon continues her growing body of article on Inclusive Tourism. Ma?gorzata Tokarska and Jolanta Wi?niewska have just written to tell us about Accessible Poland Tours - Biuro Podró?y Dla Osób Niepe?nosprawnych. ü any tourists needing special care. Everybody is welcome on our tours: from individuals to groups and clubs - disabled or not. All our tours are wheelchair accessible. We operate mainly from Warsaw but our services can be extend to the whole of Poland on request. The tours are offered in English and German. Other languages are available on request. Accessible Poland Tours do their best to provide you with professional and accessible tourist services during your travels in Poland and to make your trip enjoyable and unforgettable. Os problemas podem passar despercebidos para quem n?o tem deficiência física ou dificuldade de locomo??o. Mas s?o uma pedra no caminho daqueles que precisam cruzar a avenida com o auxílio de cadeira de rodas, muletas ou bengala. Bastaram 500 metros de caminhada, com a reportagem do Estado, para que a cadeirante Julie Nakayama, de 22 anos, encontrasse quatro falhas no cal?amento. "As concessionárias quebram o piso para prestar seus servi?os e depois remendam mal, deixando desníveis", diz ela, sobre o principal problema encontrado, consequência, em geral, de reparos feitos por companhias de fornecimento de água, de energia ou de gás. Desde ontem, sua miss?o é relatar falhas assim - e também buracos, mesinhas de bares na cal?ada que atrapalhem a passagem, carros-forte estacionados que n?o deixam espa?o para uma cadeira de rodas - à Gerência da Avenida Paulista, criada no ano passado. Para, desse modo, tentar melhorar a vida dos paulistanos que têm algum tipo de deficiência ou dificuldade de mobilidade e utilizam a avenida símbolo da cidade. "Passarei metade do dia aqui e metade na Camara, em horários alternados", conta ela, que é contratada como assistente parlamentar da vereadora Mara Gabrilli (PSDB), também deficiente. "Ela vai contribuir com seu olhar, por vivenciar isso no dia a dia", diz a vereadora. "Se o trabalho der certo, podemos pensar em expandir para outros pontos da cidade." Formada em Publicidade pela Funda? ?o Armando Alvares Penteado (Faap), Julie foi nadadora - entre os 9 e os 16 anos de idade disputou provas internacionais - e atua como bailarina e atriz. Integrante do Movimento Supera? ?o, participa anualmente da passeata que acontece na Paulista, sempre em 3 de dezembro, em referência ao Dia Internacional da Pessoa com Deficiência. "Minha luta sempre foi pela independência da pessoa com deficiência", diz ela, que convive com a situa? ?o desde o nascimento. Em seu primeiro dia de trabalho, ela utilizou um caderninho para anotar os problemas encontrados - e enfrentados - no percurso. Em breve, o trabalho será mais hi-tech. "Estamos querendo mandar as informa? ?es para a Gerência da Paulista via mensagem de texto de celular, para agilizar", conta. Em http://guardiadapaulista.ning.com, ela mantém um blog colaborativo - que permite a postagem de conteúdo de autoria de leitores previamente cadastrados - e pode ser seguida pelo servi?o de microblogs Twitter (www.twitter.com/guardiapaulista). "A ideia é que todos possam me ajudar a fiscalizar a avenida", afirma Julie, nitidamente empolgada. A princípio, o foco será voltado para a manuten? ?o da acessibilidade das cal?adas - que, após a reforma concluída no ano passado, se tornaram adaptadas a quem tem dificuldades de locomo??o. Mas Julie n?o esconde qual é sua segunda meta: sensibilizar os comerciantes instalados na avenida para também tornarem seus estabelecimentos acessíveis aos deficientes. "Nós ganharemos com isso. E eles também, já que ter?o mais clientes", defende. "Os condomínios também precisam se adaptar." Julie esquematizou sua rotina de modo a checar um trecho da avenida por dia. "Assim conseguirei ver tudo", explica, deixando claro que vai se deter em qualquer detalhe que encontrar. A Federa? ?o das Indústrias do Estado de S?o Paulo (Fiesp), cuja sede fica em um ponto central da avenida, cedeu um espa?o em seu prédio onde vai funcionar o QG de Julie. "Terei onde guardar minhas coisas e utilizar o banheiro", explica. "Também deixarei meu carro estacionado lá." O gabinete da vereadora faz planos pensando no sucesso de Julie. Se tudo der certo, a guardi? deve virar gibi. Está em estudo a ideia de publicar os problemas da avenida em quadrinhos. E Julie, claro, seria a protagonista. Nada mal para quem tem uma liga? ?o umbilical com a Paulista. Ela, que sempre morou na Vila Prudente, na zona leste de S?o Paulo, veio ao mundo em 1986 no Hospital Santa Catarina, no número 200 da avenida. Martin Sweeney, Director of the AT Network in California reflected on the opportunity hidden in the current economic downturn. Can we imagine a world where the new presumption is inclusion and Universal Design? In case you haven't already noticed, over the past several weeks there's been a building frenzy over the federal stimulus dollars that will soon be hitting the streets of California and the rest of the country. In the wake of the economic meltdown, nonprofits have been anxiously awaiting the full impact of what will surely include increased numbers of people in need facing a reduction in available resources. 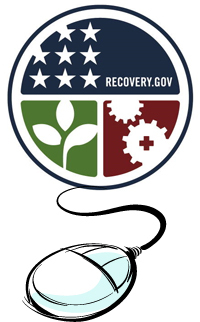 The current recession is already impacting nonprofits and how they provide services and yet the federal government's American Recovery and Reinvestment Act (ARRA) represents an unprecedented opportunity. We already know the bad news but the good news is just winding its way to our doors. The California Department of Rehabilitation will be receiving roughly 56 million dollars in federal stimulus funding that must be spent over a period of 18 months. In California alone, over one billion dollars will be spent for Broadband deployment and adoption. This is more than a lot of money and just about every nonprofit in the state is positioning itself in line. Applications for proposals are already underway. So how will our community participate? How will disability-related organizations, agencies and schools be included in this unprecedented infusion of resources to help stimulate the economy while at the same time providing access to persons with disabilities and their families? Where does assistive technology fit into the picture? Will we seize this opportunity to educate and increase public awareness about Broadband access and how it will redefine so many quality of life indicators for people with disabilities. How will it redefine access to health care? Education? Employment? Shopping? Social networks? Recreation? The list goes on. It's ironic that during a time of great economic uncertainty we find ourself with a rare opportunity to build infrastructure, create access, and make sure that our community is fully included and supported. Despite all the uncertainly, this is truly a time to think big. Craig Grimes set the bar high in Spain by taking on a whole city when he established Accessible Barcelona. Having now had experience with wheelchair users looking for both holiday accommodation and indeed their own properties, we have come to the sad conclusion that wheelchair users are not very well catered for, certainly in this part of the Costa Blanca. Hence we have purpose built here at home a lovely annex with full access all round, from leaving the car, through the doors, round the bed, into the bathroom, out to the terrace and the pool area and barbecue. For the person accompanying you there is a choice, either a sofa bed in the lounge of your suite, or a separate 2-storey suite consisting of bedroom and lounge. Our aim is to prove that accessible can also be beautiful. This year the organizers of the Geotourism Challenge have asked me to help them demonstrate their support for entrants who have worked specifically to improve access for all. I am there to assist the entrants discover an alignment between their efforts and the specific criteria of the Challenge. As socially sustainable Universal Design and ecologically sustainable green design converge toward a new consensus on "good design" we look forward to more innovators like those in the 2009 Geotourism Challenge. Although a "panel of internationally-renowned experts will address the participants of the Fifth Middle East Forum for Accessible Tourism (MEFAT) in Dubai on May 13" about legislation around the world for people with disabilities the following press release does not identify any of the speakers as having firsthand experience with disabilities. 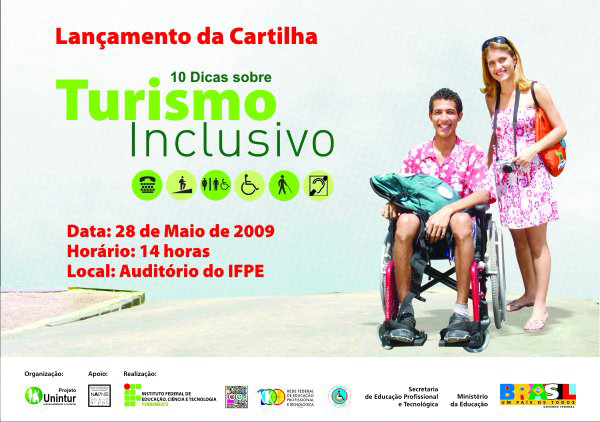 Absent is mention of Disabled People's Organizations with expertise on Inclusive Tourism such as GAATES, Disabled Peoples' International, Open Doors, ENAT, AccessAbility, or IDDI. Organised by Nad Al Sheba for PR and Events Management in association with Dubai Airports, Dubai Department of Tourism and Commerce Marketing (DTCM)Department of Tourism and Commerce Marketing (DTCM), Dubai Naturalisation and Residency Administration, the one-day forum has become an ideal annual platform for debating the issues of development and challenges relating to the Special Needs Tourism, especially in the Middle East region. H.H Sheikh Ahmed bin Saeed Al Maktoum, Chairman of Dubai Civil Aviation Authority and Chief Executive of Emirates Airlines Group, and Forum Patron, said: "The support this forum has been getting since the past five years clearly reflects the eagerness in the Middle East to promote the destinations to People with Special Needs, for whom infrastructure and services have been developed at the airports, hotels, shopping malls and recreational facilities. Building on the progress we have made over the past four years, this year's Forum will further promote the cause of accessible tourism as a humanitarian initiative as well as Special Needs Tourism as a neglected but high-potential economic segment." His Excellency Mattar Al Tayer, Chairman of the Board and Executive Director of Dubai's Roads and Transport Authority (RTA)Roads and Transport Authority (RTA), will be announcing the new services offered by the RTA to make Dubai more accessible friendly. His Excellency Abdullah Rashid Al Suwaidi, Director General at the UAE Ministry of Social Affairs, will outline the social responsibility towards people with special needs for companies and individuals in the UAE. He will highlight the long-felt need to create an integrated platform for all NGOs in the country and foster volunteerism. Mr. Dayton Lehman Jr., Principal Deputy Assistant General Counsel for Aviation Enforcement and Proceedings at the US Department of Transportation, will be speaking about the challenges facing all the airlines flying in and out of the US airports as a result of a new legislation effective May 13. The newly-revised US Department of Transportation's Air Carrier's Access Act (ACAA) regulations prohibit discrimination in air travel on the basis of an individual's disability. As part of the new legislation, the carriers must appoint at least one Complaints Resolution Official (CRO) who addresses passenger complaints related to disabilities. Adopted in May 2008, the revised ACAA rule applies to all US carrier operations and some non-U.S. carrier operations. Airlines are also required to ensure compliance from their vendors and contractors. The rule requires airlines to make accommodations for the use of portable oxygen concentrators and other respiratory assistive devices, as well as accommodations for deaf or hard-of-hearing passengers. Dayton Lehman supervises a staff of nearly 40 attorneys, transportation industry analysts and support staff. The Enforcement Office monitors compliance with and investigates violations of DOT's aviation economic requirements, including that concerning consumer protection, civil rights and unauthorized operations involving US and foreign carriers, and provides the legal review for the licensing of new airlines. Ann Frye, Advisor to the UK's Ministry of Transportation. She will be addressing the forum about the rights of passengers with special needs in the European legislation and transportation sector's best practices implemented in the UK. She will share information about the rights of passengers with special needs and best practices as implemented in the UK. Since 2006, the European Commission has taken a number of initiatives in order to ensure a smooth phasing in of regulations concerning the rights of disabled persons and persons with reduced mobility when travelling by air. Her work included introducing and implementing the transport provisions of the Disability Discrimination Acts 1995 and 2005, developing and implementing a Race Equality Scheme for the Department and its Agencies. Mr. Tony Chandler, Vice President of Airport Services at the Emirates Airlines, will be sharing knowledge about the services the Dubai-based carrier provides to customers with special needs. The Middle East region is home to 35 million People with Special Needs. Experts believe, if 10 per cent more of this huge chunk of population travel and spend approximately US$1,000 per annum, this would result in US$3 billion business every year to the tourism industry. Globally, the number of people with special needs is around 750 million. Tourists with special needs constitute around 10 per cent of the total number of tourists in the world; they approximately spent over US$28 billion alone in the United States and Europe annually. According to the World Tourism Organisation (WTO), the number of tourists worldwide will triple in size by 2020, with the Middle East region poised for spectacular growth. According to World Travel and Tourism Council's (WTTC), the Middle East accounts for 2.4 per cent of travel and tourism market share globally. WTTC statistics show that the tourism sector in the Middle East will contribute US$189.5 billion revenues by the end of 2016, which is equivalent to 10.1% of the region's GDP. May 8, 2009 marks the first anniversary of the incorporation of the European Network for Accessible Tourism (ENAT) as a non-profit organization. Consider joining and attending the 2009 conference September 30 to October 1in Vienna. Introducing a Concept: "Occupational Justice"
based on impairment or disability. Erland Overby reports on a technical guideline that has impact on implementation of the Convention on the Rights of persons with Disabilities (CRPD) which in turn contains guarantees of the rights of persons with disabilities to leisure, sport, and travel (CRPD Article 30). Inclusive Design refers to the design of ITLET resources and tools that support the full range of user needs, including needs associated with culture, language, learning approach, age and disability. Inclusive design is a derivative of universal design that achieves the goals of universal design (as referenced in the UN Convention on the Rights of People with Disabilities) by harnessing the adaptability of digital systems and content to optimize the design for each individual user. Why does the new title of WG7[the ISO/IEC JTC1/SC36/WG7 Working Group] better reflect the types of standards we develop? The former title "culture, language, human functioning activities" incorrectly represented the focus of the working group by placing emphasis on the restrictive concept of "human functioning" instead of on accessibility and "Access for All" and individual needs. WG7 members felt that the title "Culture, language and individual needs" better reflects the focus and underpinning of the area of standards that are developed in the working group as part of the ISO/IEC JTC1 SC36 committee. Dolphin Suites is the preferred accommodation for families joining dolphin assisted therapy at the Curacao Dolphin Therapy and Research Center (CDTC). CDTC offers children with physical and/or mental challenges and their families the opportunity to participate in a unique therapy program, in which the interaction with dolphins forms an essential aspect. Dolphin assisted therapy complements and reinforces traditional therapeutic approaches and takes place in an interactive environment. The therapy at CDTC is conducted according to the principles of behavioral therapy (operant conditioning). The playful interaction with the dolphin forms a powerful reward for the child as soon as an exercise is completed successfully. The increased motivation to work extra hard during therapy provides the way for the child to work playfully towards the next step in their development. Extensive research has shown that interaction with dolphins increases the attention span and concentration ability up to four times and in addition is a strong stimulus in the sense of sensory integration (sight, sound, touch, taste, smell). Dolphin assisted therapy at CDTC was created for people of three years and older with a mental and/or physical disability, like: autism, brain injury, cerebral palsy, developmental delay and Down's syndrome. We offer special prices and a booking priority to families who join Dolphin Assisted Therapy. Dolphin Suites takes great pride in having the first Biofeedback Center in the Caribbean. The Biofeedback Center uses advanced microprocessor technology and innovative behavioral procedures developed by is founder, Dr. Bernard Brucker. Applying this Brucker Method, the Center helps return functions to people with paralysis due to disease or injury in the brain, brain stem and spinal cord by teaching them to find and use long-term repairing and remaining motor cells. Following a comprehensive evaluation of the patient and development of an individual plan of care, the Center's Biofeedback therapists place surface electrodes over the muscles that have limited or no function. These electrodes, attached to a specially designed neuro-educator computer, do not provide any stimulation. Rather, they detect and process all motor neuron activity, they rapidly and accurately display these signals on a monitor in front of the patient. This immediate visual information, used in the context of learning paradigms, allows the patient to find alternative, surviving cells and learns to connect them to the muscle site. and Vilnius European Capital of Culture 2009. European Capital of Culture 2009 on May 22nd. projects already outlined for this purpose in the years to come. Viviane Panelli Sarraf specializes in museum accessibility. Jessica Zarin Kessin specializes in toys that facilitate developmental progress. She should be known by all museums - especially children's museums. Starting with the comment at the general session on Friday that the "Spark" video should have been closed captioning, access to museums, both for visitors and staff, has been a major issue at this year's conference. This is an impassioned topic: All of us know someone who has special access needs or have special needs ourselves. At the Q&A for a session on Friday afternoon, "Autism and Access: Connecting with Museums," museum professionals who have children with autism and those who have high-functioning autism themselves, told personal stories of how museums they have visited deal with autism. The session not only dealt with autistic people as visitors to museums but autistic volunteers as well. I know that it is often hard for autistic individuals to hold a job, and museums can help them with life-skills by welcoming them as volunteers. Progress on inclusion in the area of the industry known as Cultural Tourism depends on pioneers and prophets like Viviane. Jessica, and Ansel. Their work is a refreshing sign of hope. As people with disabilities we depend more on word-of-mouth travel tips than any other market segment (Open Doors 2002.) Because of that fact - and because so many readers who I correspond with are active producers of information on travel with a disability - I take a keen interest in discussions such as the one Jill Finlayson has started at Skol's Social Edge. Here are 10 ways to use Twitter to grow your social venture [and examples of folks who do it well]. The first three are focused on what your organization can learn and gain from listening, the latter seven are ways you can serve your community using Twitter. Remember, Twitter is the ultimate in permission marketing and viral marketing. People can stop following you at any time, and they will only retweet what they find interesting & valuable. So your job is to ensure that Twittering is part of your operational programs, as well as part of your fundraising, communications, and marketing department(s). The better the integration throughout your organization, the more useful your Twitters will be for your audience. Remember, it is not about you - self-serving marketing will soon lose it's followers, so keep your audience in mind and focus on the Twitters that they will find useful and entertaining. About a month ago, I was sat in my university library, writing my second research report in as many weeks, thinking 'I need a holiday'! I run my own business as a Disability Equality Consultant, and as a result, spend much of my time travelling across the country, and sometimes, if I'm lucky, internationally, although it has been far too long since I have enjoyed anything that I could reasonably refer to as a 'holiday'; the last time being a short break in London after my 17th birthday. Imagine, then, how I was more than happy to take Eleanor up on her offer of a weekend break in Paris. Nevertheless, my immediate reaction, was soon replaced by more practical considerations; a different country, a different language, and an ignorance, on my part, of the daily issues faced by disabled Parisians. Ironically, my London break was at first conceived as a trip to the French capital, but, for those reasons stated above, I made the decision to travel somewhere a little more familiar. El Ayuntamiento de Lozoya (Madrid), a través de la Agencia de Desarrollo Local, y la empresa Allcaraván colaboran para que las rutas de senderismo de la Sierra Madrile?a puedan ser disfrutadas por todas las personas. Se ha creado la Asociación "Senderismo para todos ", para poner en marcha esta brillante iniciativa que empieza a dar sus primeros pasos con la impartición de cursos para monitores / pilotos de de Jo?lette ( sillas adaptadas para todo terreno) , gracias al apoyo del PAMAM (Patronato Madrile?o de áreas de Monta?a) y de la Dirección General de Turismo de la Comunidad de Madrid. Para esta primera fase del proyecto se ha contado con la participación de dos de los mejores especialistas de Espa?a en esta materia. Ellos han sido los encargados de dirigir los primeros cursos de capacitación a más de treinta de alumnos voluntarios que serán futuros monitores y expertos en el manejo de las "J?elletes". Con este nombre es como se conoce el accesorio que se utiliza para permitir que una persona con problemas de movilidad pueda disfrutar plenamente del contacto con la naturaleza y participar en las rutas de senderismo que vayan siendo propuestas para este fin. La J?ellete fue dise?ada por Jo?l Claudel, de ahí su nombre. Se trata de una silla de brazo puesta sobre una rueda que permite a las personas con problemas de movilidad transitar por casi todos los tipos de senderos. Es una especie de silla todo terreno que se desplaza con asistencia y dirección de los guías. Para poder disfrutar de las primeras excursiones se disponen en este momento de cuatro "J?elletes". Un número aún limitado, que se prevé aumentar (hasta a 10 en los próximos meses) para poder atender perfectamente la demanda de las personas con discapacidad y sus familiares. En esa misma proporción se irán ampliando el número de guías expertos encargados de dirigir los recorridos con total seguridad. Juan Miguel Tirado, agente de desarrollo local, y Jesus Herrero, Presidente de "Senderismo para todos" han participado activamente en la coordinación y supervisión las clases que se han venido impartiendo durante los últimos días del mes de abril. Tirado tiene la convicción de que esta iniciativa es de gran interés para la localidad y, por extensión, para el resto del valle y de la Sierra de Madrid. "Hoy en día, no podemos permitir que personas con algún tipo de problema físico o de cualquier otra índole no tengan la oportunidad de poder disfrutar de tan bello paisaje. Entendemos que no es una tarea fácil, pero es necesario afrontar el reto. En Espa?a hay pocos lugares en los que estas personas puedan participar junto a sus familiares y amigos de una agradable jornada al aire libre y disfrutando de algo tan placentero como es la práctica del senderismo. Por nuestra parte, estamos dispuestos a realizar todos los esfuerzos para que este trabajo d é los frutos esperados, pero es necesario también aunar fuerzas y buscar más recursos para conseguir nuestro propósito: "Senderismo para todos". Los primeros cursos realizados sobre el manejo y el uso de las "J?elletes" han estado dirigidos por dos grandes expertos de estos dispositivos: Blaise Boulin y David Hernádez, ambos llevan toda su carrera profesional trabajando dentro y fuera de Espa?a como guías de monta?a especializados en personas con discapacidad. Actualmente es en las Islas Canarias y sur de Francia donde vienen desarrollando esta especialidad. La mayoría de los participantes inscritos (mayoritariamente locales y de la Mancomunidad del valle del Lozoya y la Sierra norte) han trabajado anteriormente y tienen demostrada experiencia como guías de monta?a y monitores de tiempo libre y en muchos casos también con personas con algún problema de movilidad. No obstante, en todos los casos, son personas altamente sensibilizadas con esta problemática y con un alto sentido de la solidaridad y la responsabilidad. No cabe la menor duda que sin su colaboración como futuros guías especializados para personas con discapacidad, esta alternativa de ocio no seria posible. Por su parte, Jesús Herrero, buen conocedor de estos parajes, Diplomado en Gestión de Espacios Naturales director de Allcaraván, Parques Naturales y Presidente de " Senderismo para todos" asociación que coordinará el desarrollo del, proyecto, apunta: "es indispensable que las personas encargadas de guiar a los futuros senderistas tengan un alto sentido de la responsabilidad y conocimientos exhaustivos de la problemática planteada, por supuesto, que también ser buenos amantes de la naturaleza y expertos en actividades de naturaleza. Estas pautas se han contemplado con mucho rigor a la hora de seleccionar a los monitores, además de que también se ha considerado como muy positivo que la mayoría fueran vecinos de Lozoya o del mismo valle y alrededores. Flanqueado al noroeste por los Montes Carpetanos, al sur por Cuerda Larga y al este por la Sierra de la Morcuera , el alto valle del Lozoya es uno de los lugares más visitados por los madrile?os. Sus pueblos, su artesanía y, sobre todo, sus senderos, que surcan lo más profundo de estos pagos, confieren un atractivo irresistible a cualquier viajero. Se trata de una de las zonas de mayor valor natural de la Comunidad de Madrid, donde alberga el Parque Natural de Pe?alara, en el que es posible disfrutar de sus numerosas sendas en cualquier época del a?o, así como, innumerables recorridos en los pueblos el valle, el yacimiento arqueológico de Pinilla. Durante el recorrido por sus pueblos y paisajes, el viajero encontrará muchos restos de una tradición ganadera que ha marcado profundamente la zona. Y también tendrá la oportunidad de degustar excelentes carnes en sus numerosos restaurantes. Pero, sobre todo, podrá adentrarse en sus numerosas veredas y caminos que siguen sorprendiendo a los más andarines. Por la N-I (Carretera de Burgos) hasta Lozoyuela (Km 69) y tomar la M-604 en dirección Lozoya. Por la N-VI subiendo el Puerto de Navacerrada y tomando dirección Puerto de Cotos y pasar Rascafría. Tourism New South Wales Sydney for All Website project has been chosen to receive a Vision Australia Highly Commended Certificate as part of the 2009 Vision Australia Making a Difference Campaign. Vision Australia is a living partnership between people who are blind, sighted or have low vision. Making a difference in local communities is something that we all strive to achieve. Each year Vision Australia publicly recognises and congratulates organisations, community groups and individuals for going that extra step and considering the needs of people who are blind or have low vision. The Australia Making a Difference Awards is now in its fourth year. They are prestigious awards that were created to congratulate members of the local community who are considering the needs of people who are blind or have low vision and to encourage other community members to make a difference to people who are blind or have low vision. Each year all Vision Australia centres across NSW, Victoria, the ACT and Queensland will be publicly congratulating the positive activities that businesses, individuals or organisations are taking in local communities by holding Making a Difference Award presentations. This post will cover both "eco" handles - those made from recycled and earth-friendly materials - and "ergo" handles that are designed for comfortable use. In some cases, I have found handles and pulls that meet both eco and ergo requirements and are beautiful as well. They meet my definition of elegant design. For a glimpse of elegance at the convergence of Human-centered and earth-aware design read "Get a Grip"
Have you ever wondered of spending a night in a crane? If yes, then the hotel in Harligen will surely quench your thirst. It is truly a worthwhile experience to stay in a hotel, which is no less than a boutique hotel hung in midair from a crane. You can reach the fabulous Dockside Crane Hotel by train or by an hour-long journey by car from Amsterdam. The Harbour Crane is truly the most unusual hotel, one has ever seen. The birth of the hotel as said by Bloomberg is out of a functioning harbor crane used to unload timber until 12 years ago. The machine room of the crane is right now a luxurious bedroom with plenty of window to allow you a clear view. Even after transforming an old machine room to a luxurious bedroom, it does not fall out of place in comparison to the most modern design hotels. The two elevators carry the guest to the room. The first one always stops between the crane's legs and the second one takes you to the place, which was previously the machine room. There are arrangements of two big enough double beds, two Charles Eames chairs along with a table and a shower that possess colored lights to support your mood. A large LCD touch screen allows you to watch videos and a small staircase leads up to the steering cabin. The guests can also swing the cabin around from the control room. A delicious breakfast on a small patio is delivered with the help of the internal lift to your bedroom. The cost of a single night's stay in a crane is 319 Euros. It is truly an engineering marvel as the initial design could hardly make anyone feel to use it as a house, but the engineering excellence actually turned it into a hotel.